The North Face of the Eiger is over 1800m of vertical ice and rock that earned the nickname Mordwand (Murder wall) for its dangerous history; 64 deaths have been confirmed since 1935. The first successful ascent of the Eiger’s north face occured in 1938 by a German-Austrian group consisting of Anderl Heckmair, Ludwig Vorg, Heinrich Harrer, and Fritz Kasparek. The ascent took these men three days to complete, and would take the majority of modern-day mountaineers a minimum of two days. In 2008, Ueli Steck climbed the north face of The Eiger in 2 hours, 47 minutes, beating his own previous record by 1 hour and 7 minutes. To give you some idea of his freakish intensity and drive, Steck completed this record-breaking climb without any safety lines because they would simply slow him down. Steck appears less to climb, but sprint and bound up some of the most difficult sections of the world’s most dangerous and technical mountains. Less concerned with the difficulty of the various climbs he attempts, he stated in an interview that “The future of cutting-edge alpinism is about how fast and how light you can go…”. Ueli Steck has also set speed records on two other of the Great North Faces of The Alpes: The Matterhorn and Grandes Jorasses. 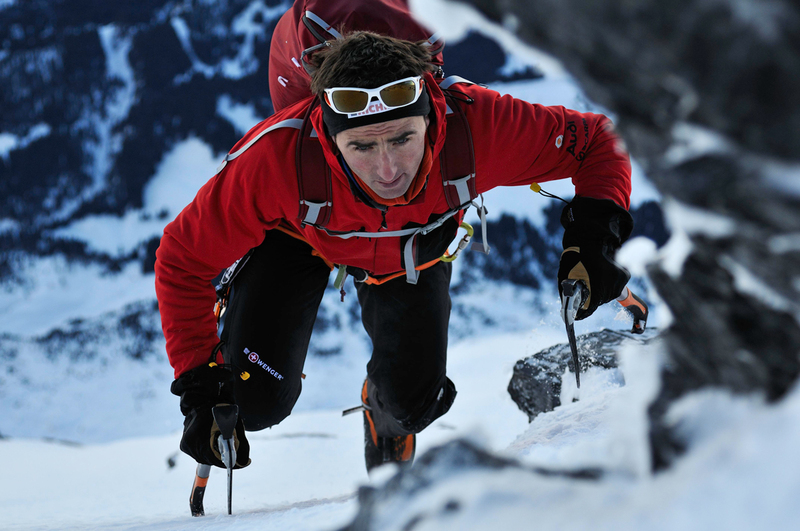 In May 2012, Ueli Steck climbed the southeast ridge to the summit of Mount Everest without supplemental oxygen. In 2011, Steck climbed Shishapangma (the world’s 14th highest mountain and smallest of the 8,000m + mountains) in a speed solo record time of 10 hours, 30 minutes. 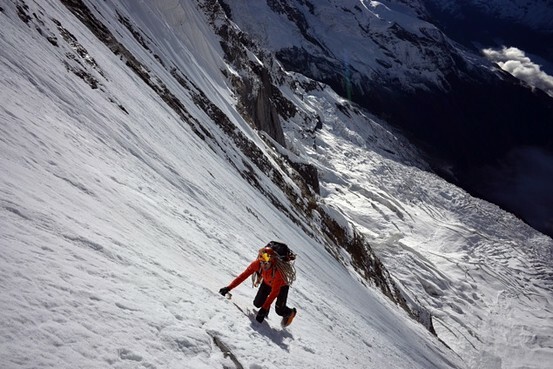 Less than a week ago, Ueli Steck climbed the south face of Annapurna 1 (10th highest mountain in the world) and descended in total time of 28 hours. This was Steck’s third attempt at Annapurna 1 after complications arose in his previous two attempts. This feat is already being hailed by climbing enthusiasts as the “climb of the decade”. Annapurna 1 is the least attempted of the 14 eight-thousand metre peaks in the world, and the most treacherous of all, including Everest. When asked to give a 1-10 rating of the levels of fun, risk and physical suffering, Steck replied: “Fun 8, Suffer 5, Risk 7”. Long live the Swiss Machine! Sign up for the latest blog posts straight to your inbox.